As the holidays approach, I’ve got pie on the brain. I love love love apple pie. I look forward to Thanksgiving every year just for the pie! 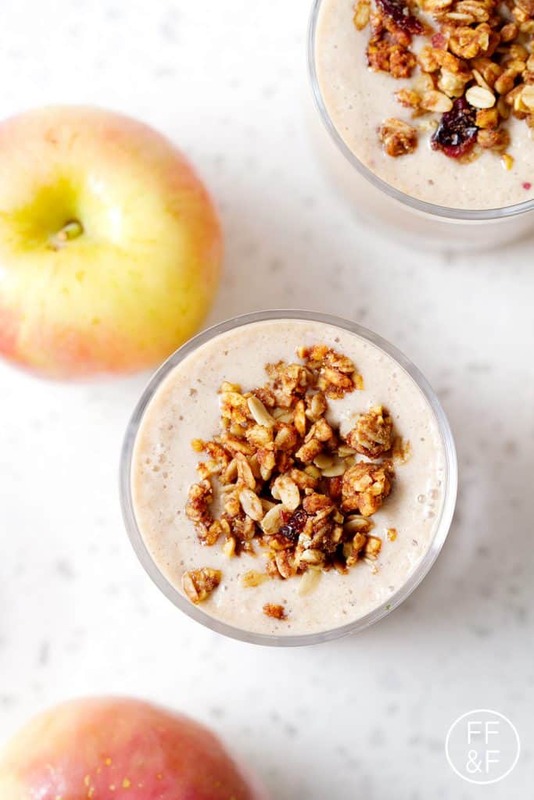 Now, apple pie isn’t practical or healthy on a daily basis but this apple pie smoothie absolutely is. 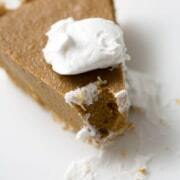 It’s easy to make, good for you and taste just like pie. That’s hard to beat! 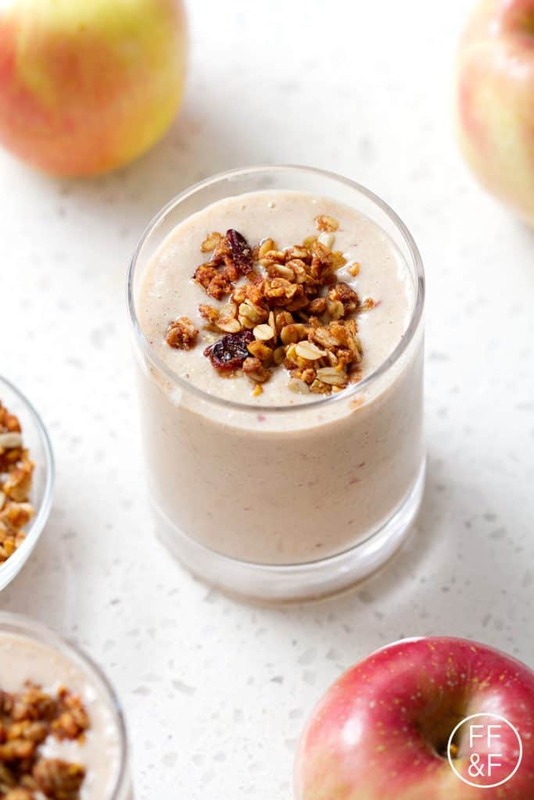 I’ll be making this smoothie every time I’m craving a piece of apple pie. Have you guys checked out Skillshare yet? I’ve been talking about it a lot in the last few weeks in preparation for my first class. I’m very excited to announce that I just posted my Healthy Smoothies class!! 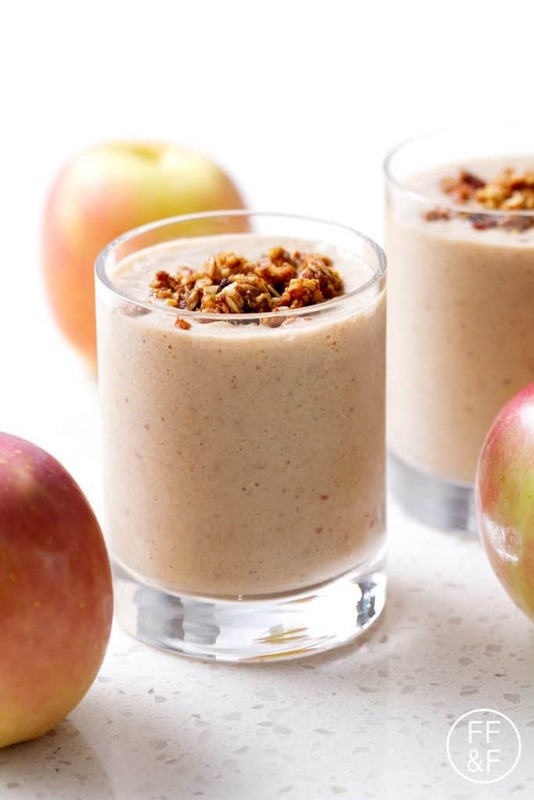 This Apple Pie Smoothie is apart of the class. 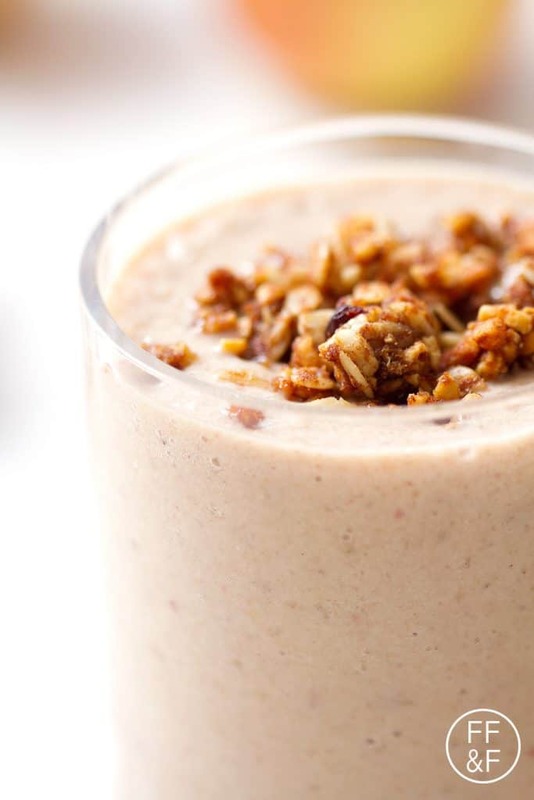 I show you how to make three different but all equally delicious and healthy smoothies but the class is so much more than recipes. I give tips, tricks and really helpful information for making smoothies. If you’d like to learn more about Skillshare, they are offering a 3 month premium membership for only 99 cents. That’s a savings of $35! You’ll need a premium membership to take my class. 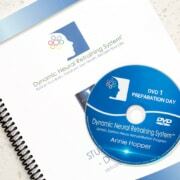 If you’d like to take advantage of this deal, just click on the link below then head over to my class. 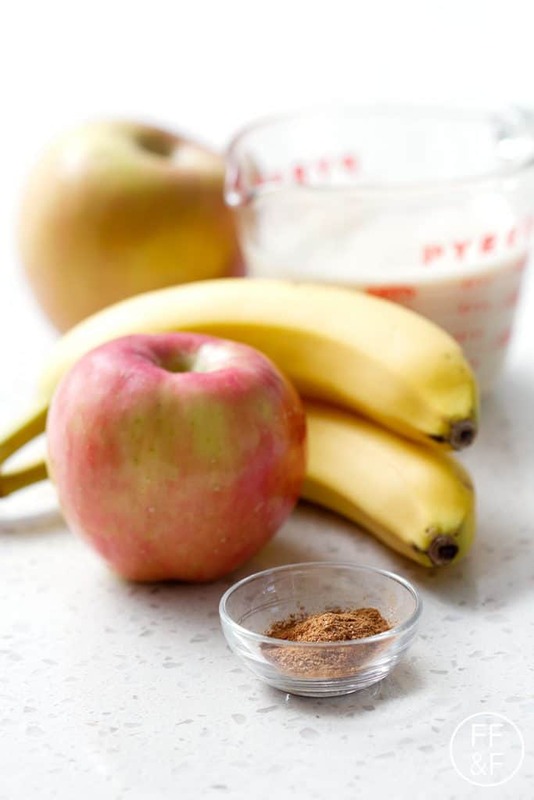 A healthy smoothie that has that cinnamony sweet taste that you love in apple pie. 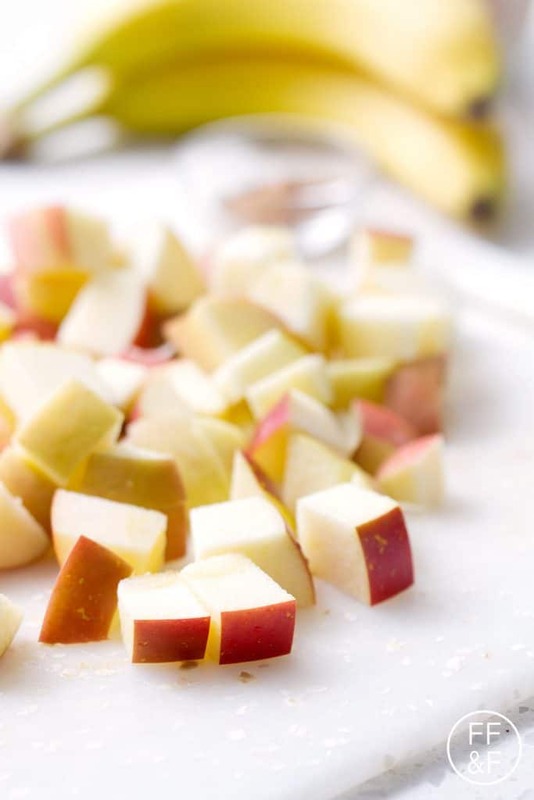 However, this smoothie is made of whole ingredients and has no added sugar. Much healthier than the real thing. 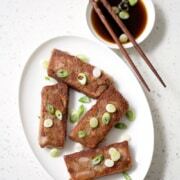 This recipe is allergy friendly (gluten, dairy, shellfish, nut, egg, and soy free) and suits the autoimmune protocol diet (AIP), paleo and vegan diets.